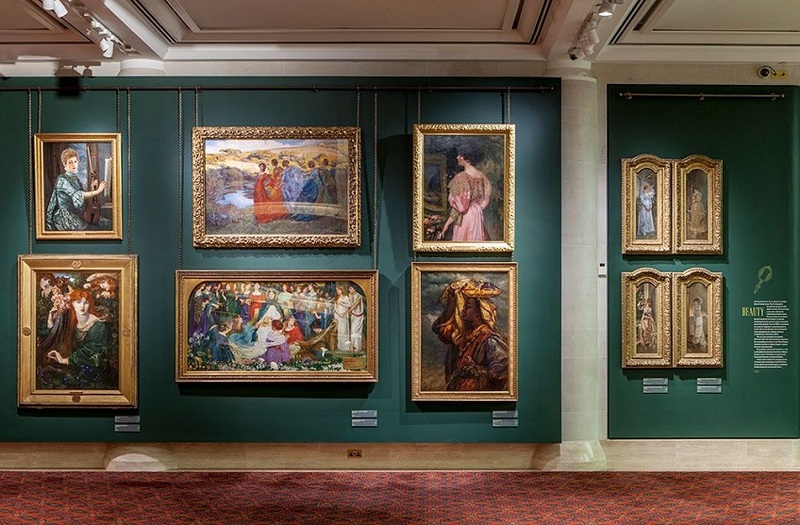 The Guildhall Art Gallery, an ocular treasure in and of itself, is home to the City of London Corporation’s art collection, replete with Victorian art, Pre-Raphaelite paintings, and – overall – a marvellous spread of representations of the capital, many of the collections bequested to the gallery. Originally opened in 1886, but destroyed by bombing on “the longest night of the Blitz in 1941” (together with hundreds of pieces of art), the Guildhall Art Gallery as can be seen today began being rebuilt in 1995 and was officially opened by Her Majesty The Queen in 1999. 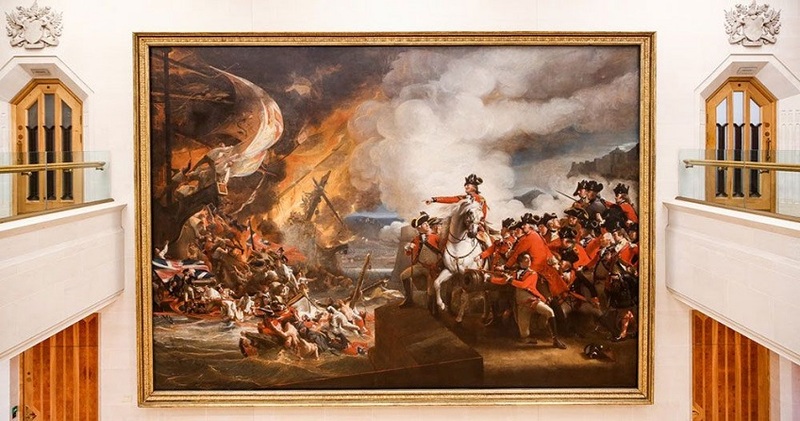 The design of this new gallery was inspired by John Singleton Copley’s Defeat of the Floating Batteries at Gibraltar, painted between 1783 and 1791 – spanning as it does two floors (earning it the accolade of being one of the largest oil paintings to exist in Britain). 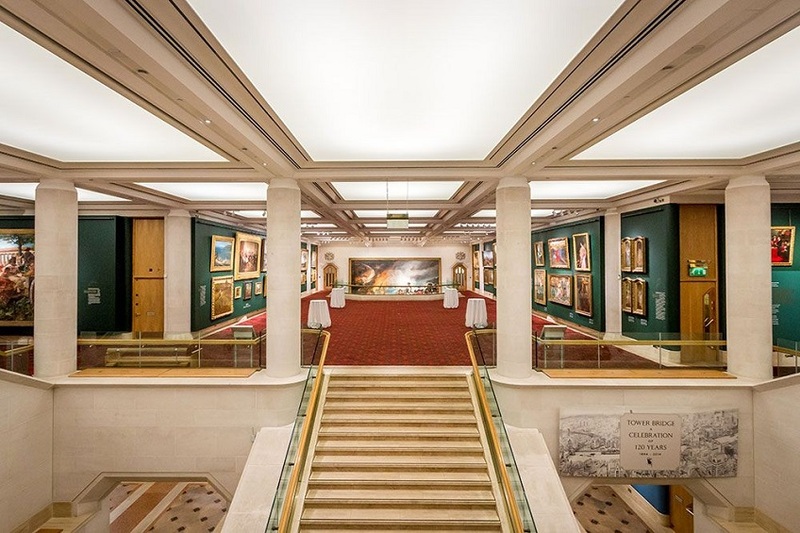 To celebrate the gallery’s 15th anniversary in 2014, all paintings were rehung after £600,000 in renovation improvements. Given its immediately obvious aesthetic appeal, it is no wonder that this venue frequently lends itself to evening drinks receptions and other events. On which topic, although the Guildhall Art Gallery regularly hosts late night talks on its permanent installations, visitors can enjoy a deeper insight into the works displayed through intermittent exhibits, inclusive of workshops from time to time. Needless to say, with a function room of 300 person maximum capacity, twilight dos are quite something here (both those run by the gallery itself and privately hired out), and are serviced by extensive facilities. Currently, the installation not to be missed is Seen and Heard: Victorian Children in the Frame (on until 28th April; tickets £8 / concessions £6). 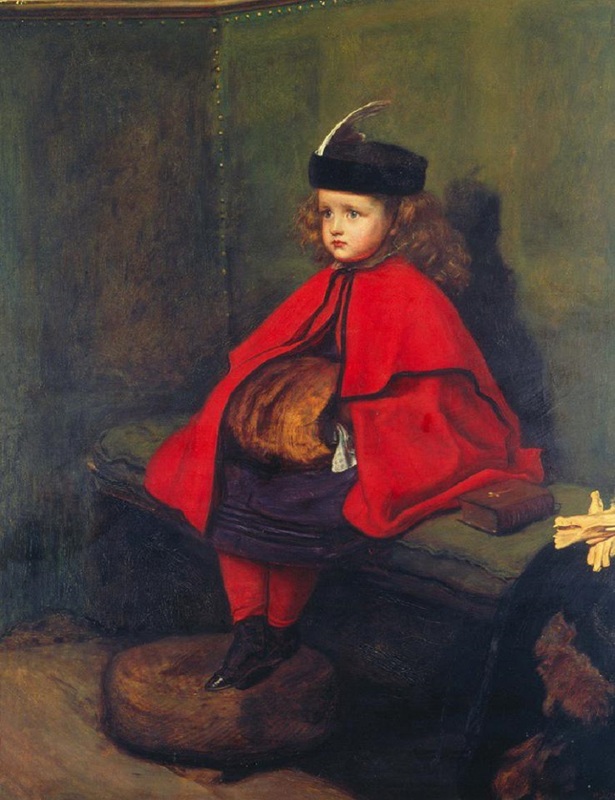 Exhibiting 50 works showing the idealisation of the domestic landscape, wherein only contented children, sweet innocence, and a family life free from care existed, this nineteenth century artistic movement depicted a middle-class romanticism sought to overlay the real life poverty and hardships many were suffering at the time. Nonetheless, Seen and Heard includes also works of a darker nature, including Henry Herbert La Thangue’s The Man with the Scythe (a title explicative of its content, one might say). In addition, this era saw an individualisation of figure of the child, perspective changing from the miniature adult to a smaller creature in need of especial care: that of a loving home. 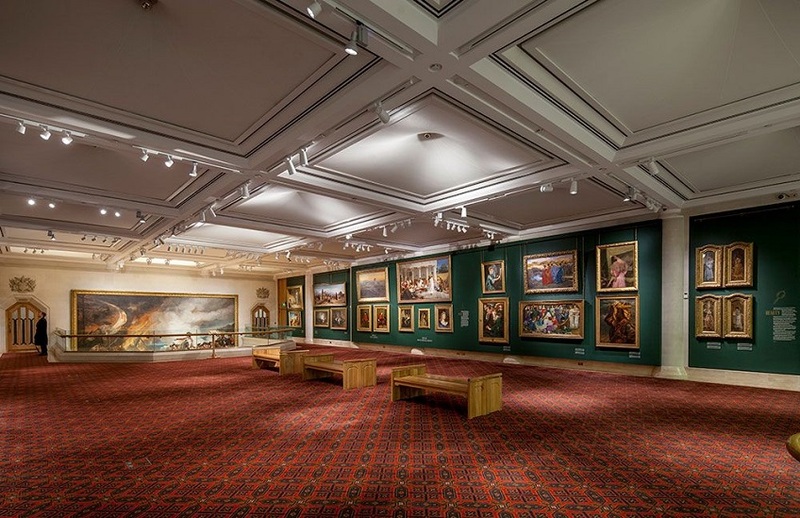 Expect to view works such as George Elgar Hicks’s The General Post Office, and also five or six paintings by Webster that are rarely on show at any one time. Each Wednesday at 1pm a free talk will be taking place, conducted by curator Katherine Pearce. Further, there is planned a Victorian Valentine’s Late Night talk on 15th February (7pm-10pm, tickets £15/£12), inclusive of activities, drinks, and music. Lastly, given the exhibition’s content, it is perhaps unsurprising that each second Saturday of the month under-12s may take an adult for free along to Seen and Heard, in the hopes of instilling in the next generation a due love of art.